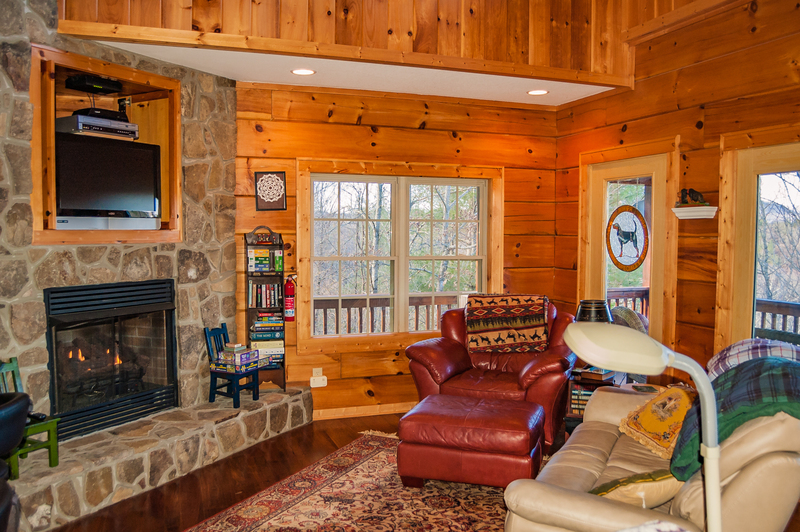 Here's a beautiful mountain cabin with room for the whole family - even the dog! 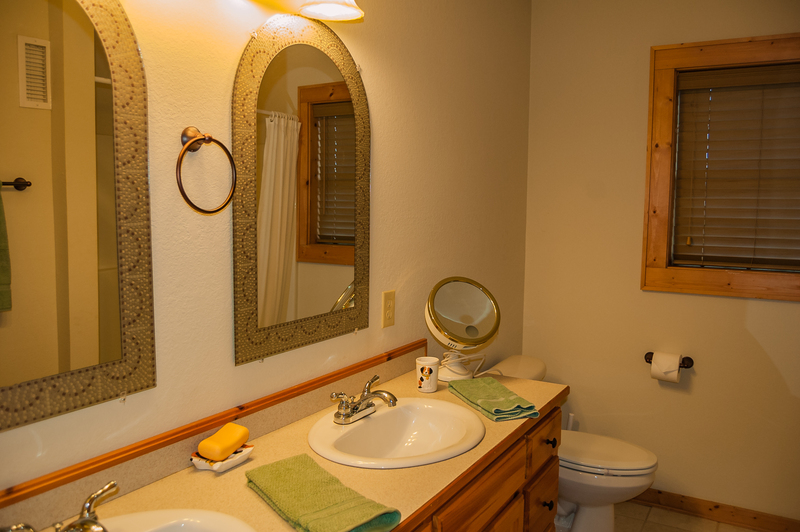 This one is sure to check all the boxes on your list, including spaciousness, plenty of beds, two separate living areas, a wonderful king-sized master suite and a central location. 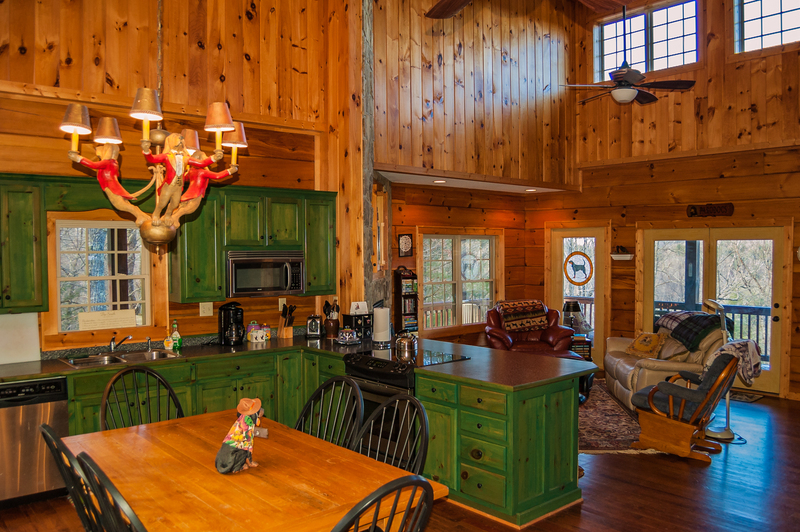 You'll enter the home to a gorgeous great room, with towering ceilings, open to the kitchen and dining areas. 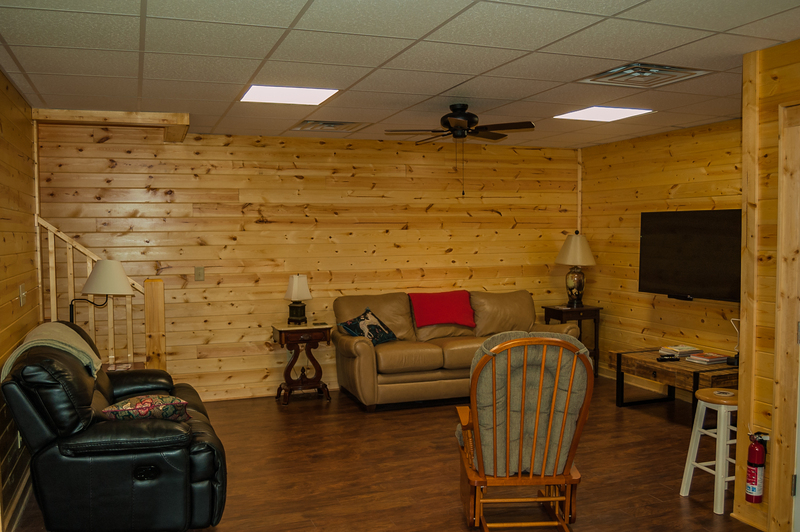 The living room features a wet bar, stone-faced gas fireplace, TV, DVD player and comfy seating. 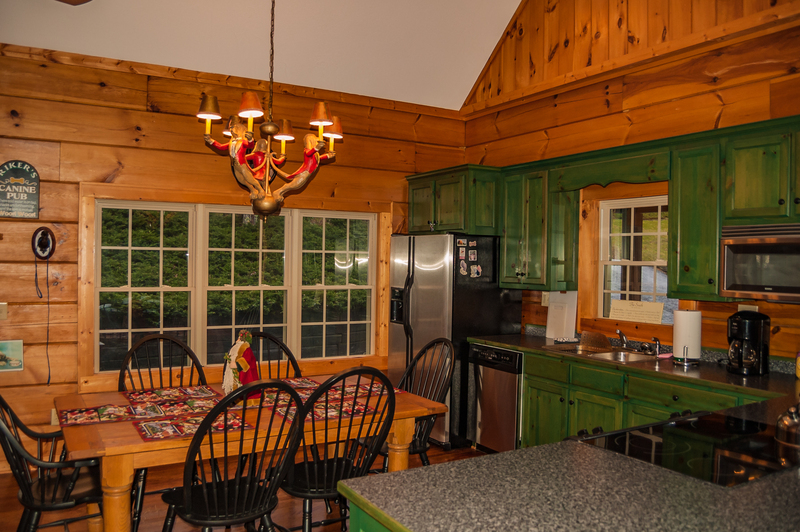 The roomy kitchen is well-stocked for gatherings and family meals, and includes SS appliances and dining for 6. 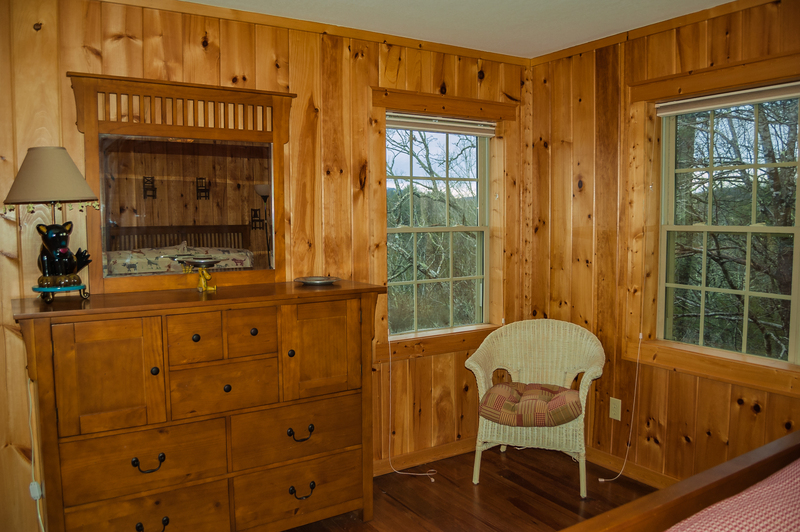 Another dining table offers room for an additional 6. No crowding in this home! 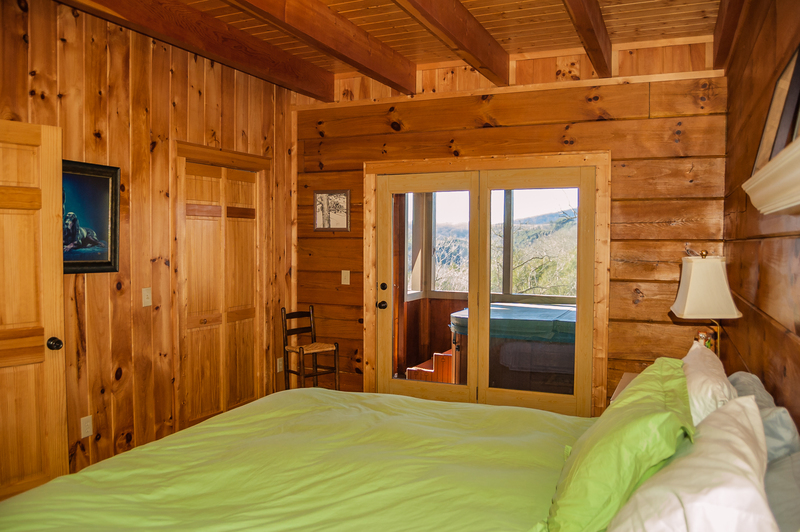 The master suite, conveniently located on the main level, includes a king-sized bed to stretch out in after a fun-packed day of mountain activities. 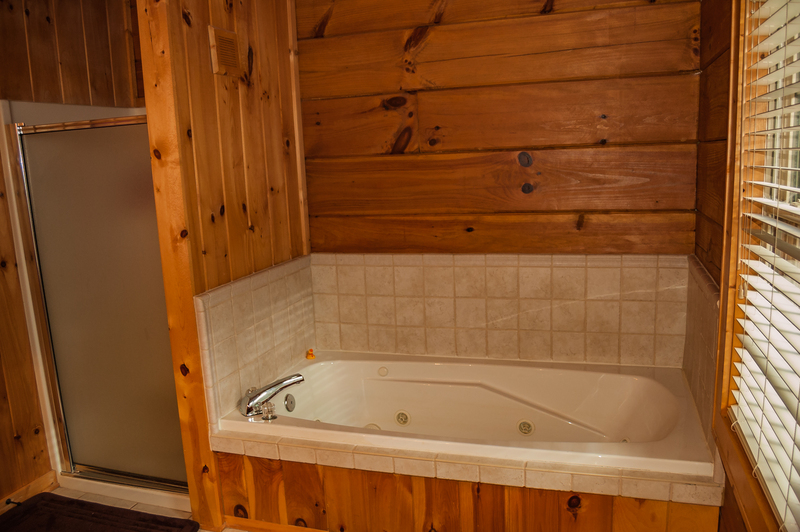 This suite has a private bath with double vanity, whirlpool tub and separate shower. 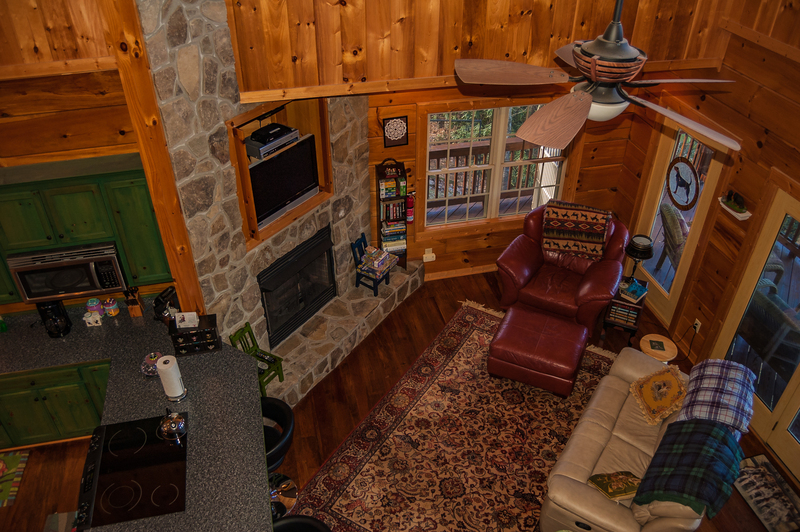 The best feature, though, is the private screened porch with its own 2-person hot tub! 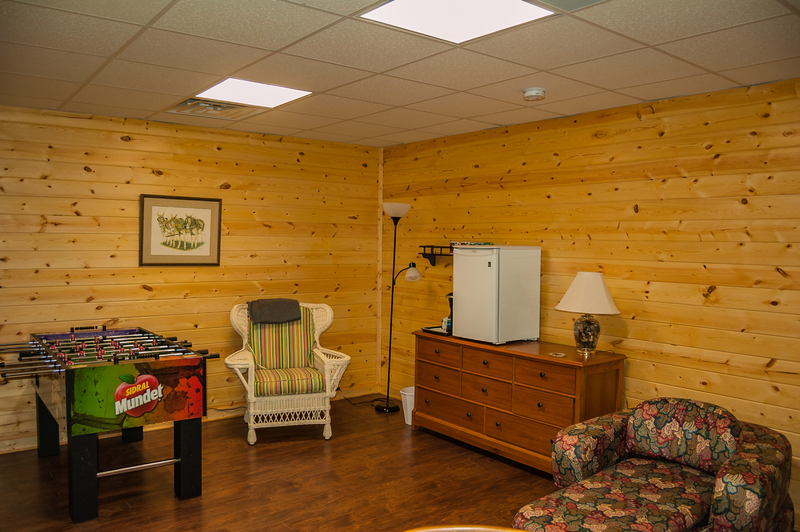 When you're ready for recreation, head downstairs to the large media room that offers a huge flatscreen TV, foosball game, mini-fridge, queen-sized sleeper sofa and half bath. 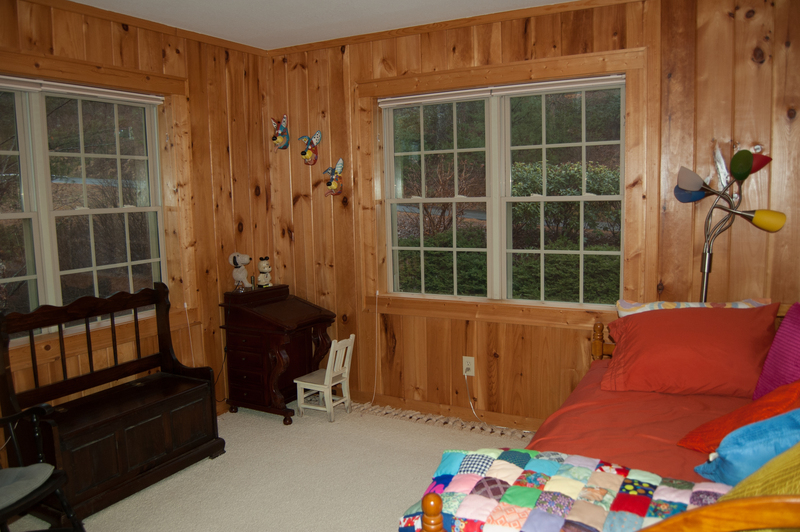 You'll also find another private bedroom with a queen bed and a bath with a large walk-in tile shower. Of course, most folks visit the mountains to enjoy the great outdoors! 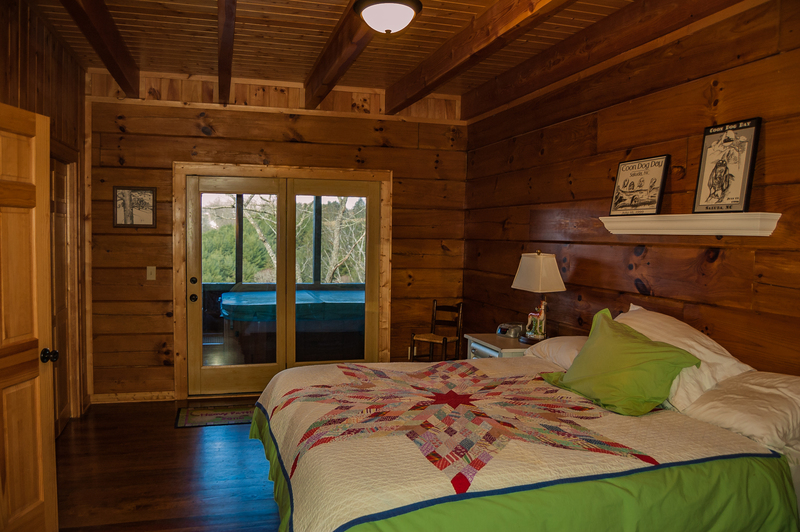 The Lazy Dog Retreat accommodates that desire beautifully with its wide wrap-around deck, hovering over the New River. 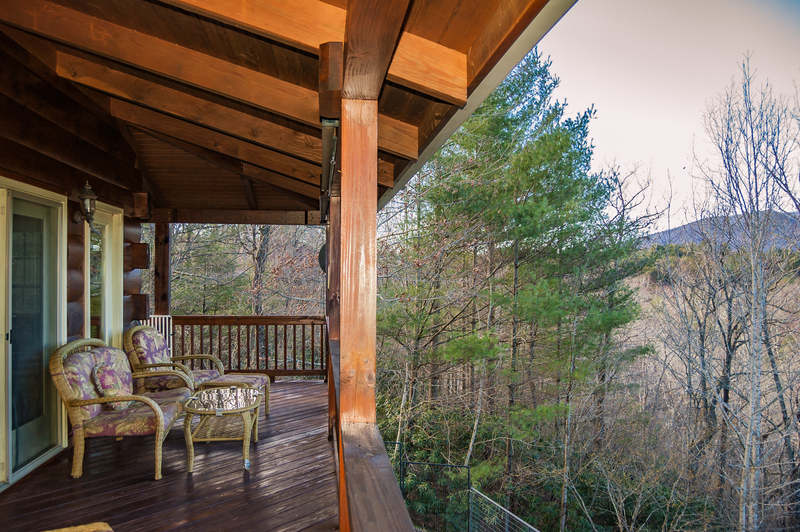 This porch is definitely a "retreat" - the perfect place for relaxing, enjoying conversation or a beverage as you listen to the water babbling below and watch the dog frolic safely within the fenced yard. Beautiful, inside and out, this home is in a secure, gated community, with plenty of off-street parking. 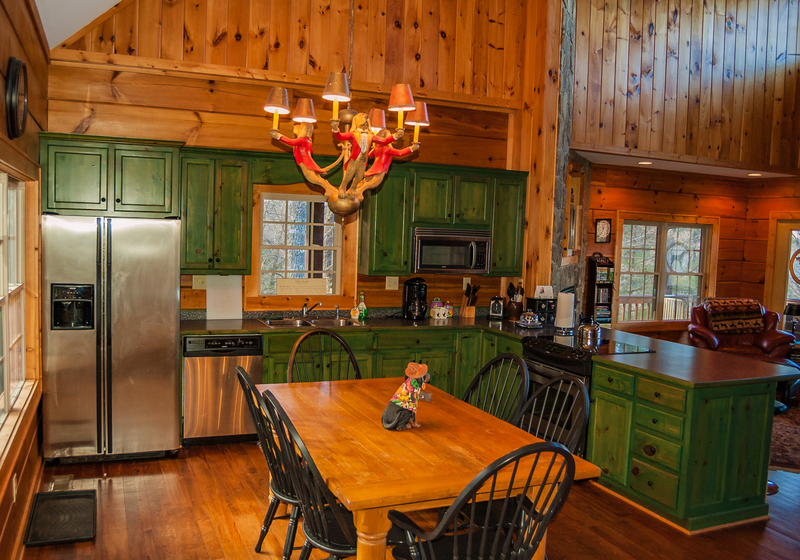 What a great home base for your High Country adventure! 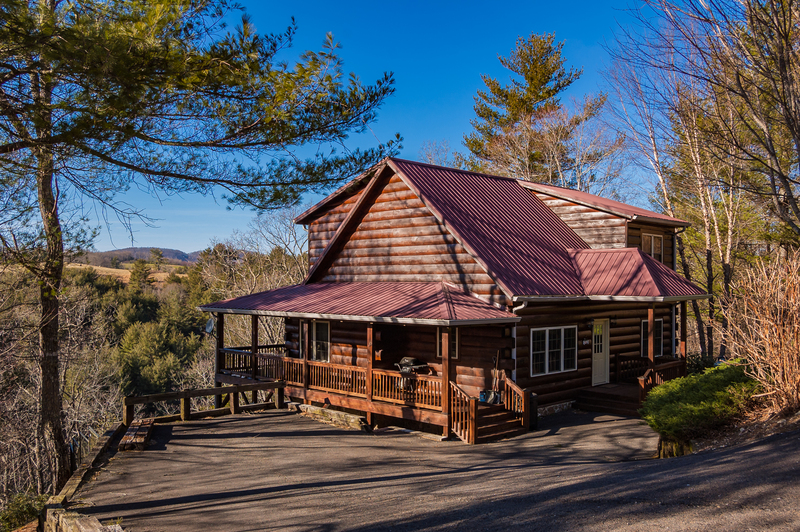 The Lazy Dog Retreat is conveniently located in the Jefferson mountains, in the heart of the High Country. 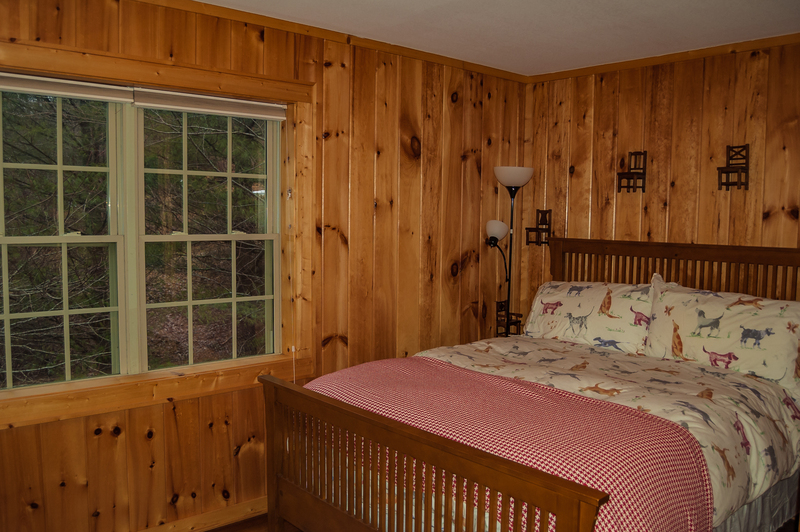 From here you can easily explore and enjoy a huge variety of attractions and outdoor recreation. 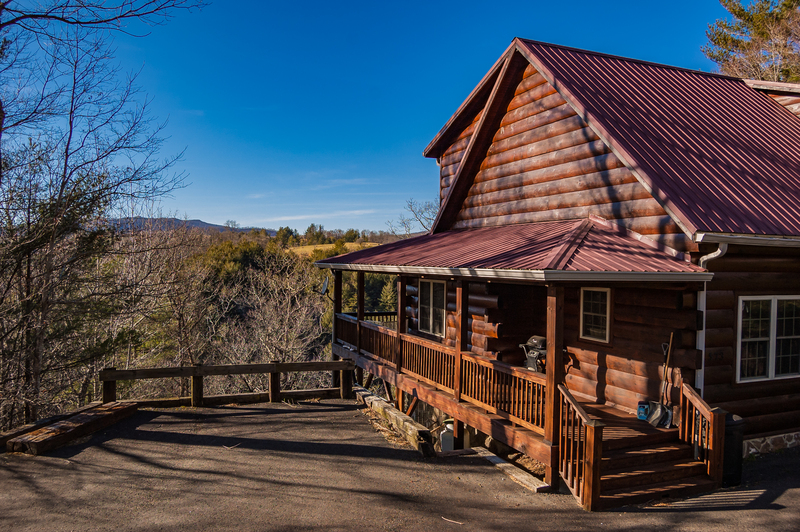 The New River State Park is next to the cabin's subdivision, and you're also just minutes from the Blue Ridge Parkway and the quaint mountain towns of Jefferson and West Jefferson. West Jefferson offers restaurants and terrific shopping, including antique stores, art galleries and wine tasting. This is small-town Americana at its finest. Here you'll find the famous Ashe Co. Cheese Factory, where you can watch cheese being made. As you explore Main Street you'll feel like you've stepped back in time. There's even an adorable movie theater. 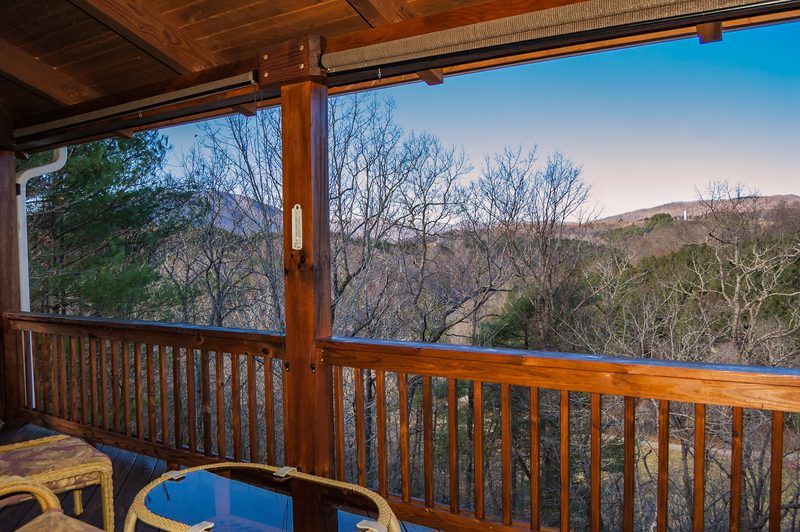 Drive a little further to Boone or Blowing Rock, for an even wider assortment of dining, entertainment and shopping options. Tour the campus of Appalachian State University, or visit our craft breweries. 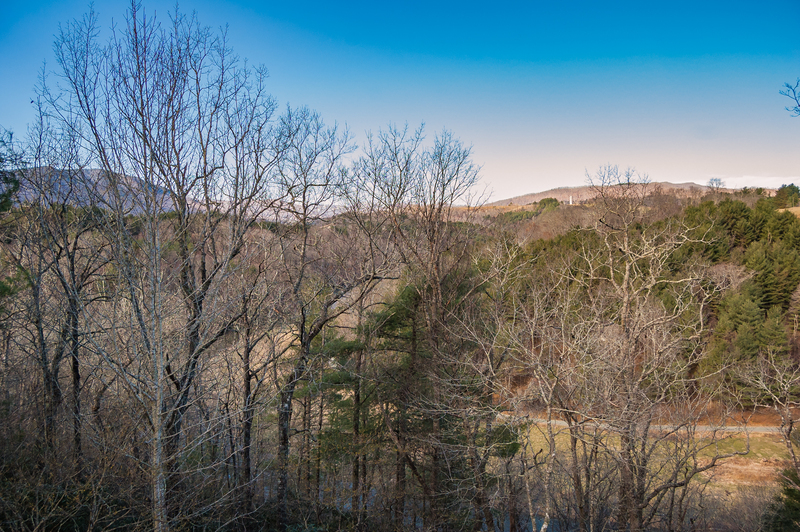 And remember that here in Blue Ridge Country the journey is as satisfying as the destination, with gorgeous scenery at every turn. 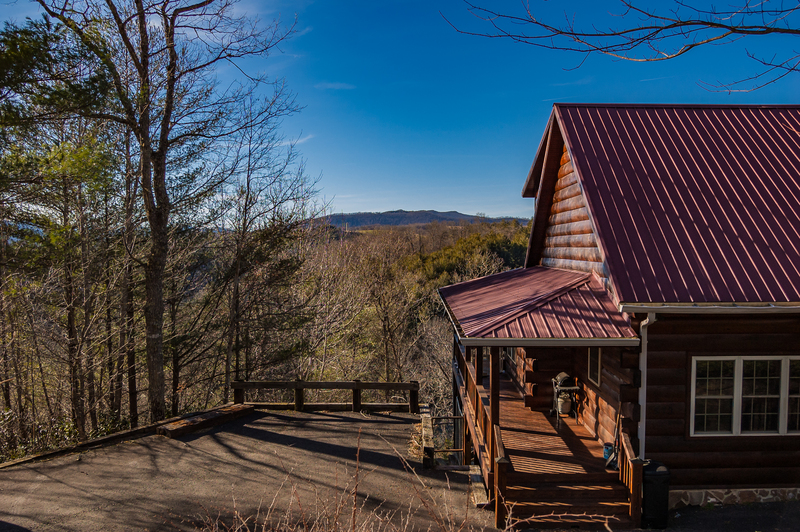 In the warmer months, the High Country offers hiking, biking, climbing and zip-lining, as well as all kinds of adventure on the New River, including swimming, tubing, kayaking, canoeing and fishing. West Jefferson also has one of the region's most scenic and well-maintained public golf courses, Mountain Aire. 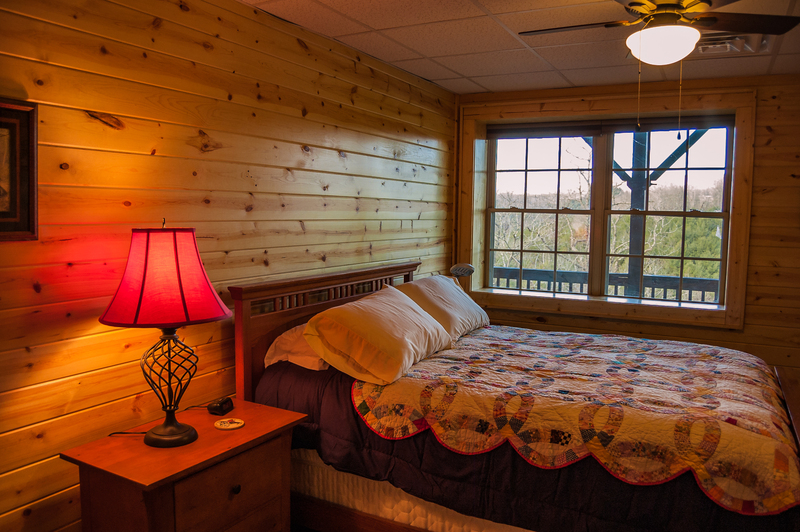 In the winter enjoy skiing, snowboarding, snow tubing or ice skating at one of the many area resorts. Or - just sit on the porch. 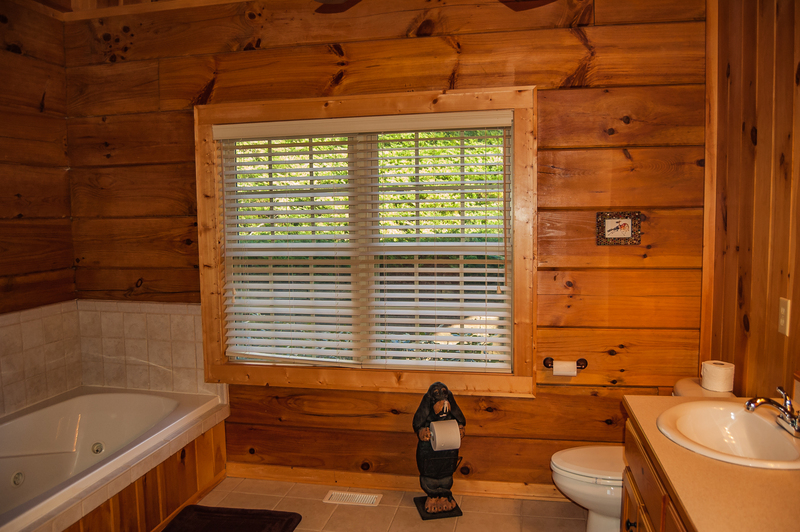 "Nice cabin in a very good location"
"When we arrived at the home, it was beautiful and very clean. It was spacious, yet cozy. Everything we wanted to do was a short drive. The views were spectacular! 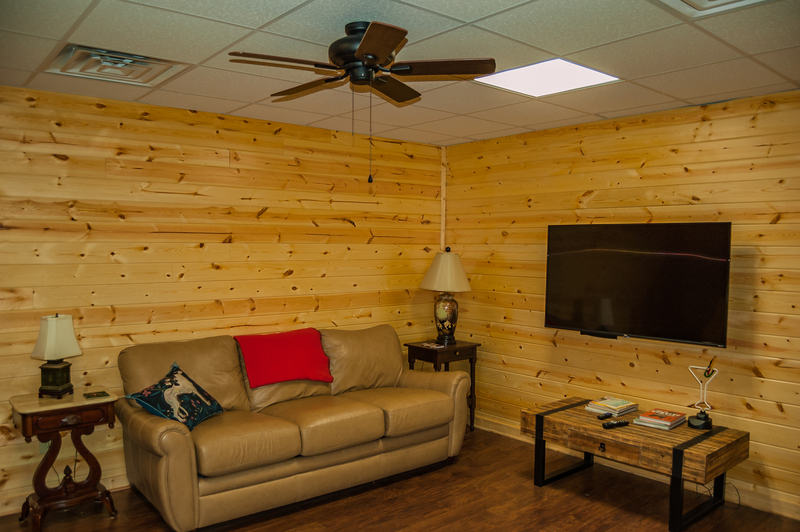 We have rented from this company twice and plan to book with them again in the future. We said when we left we would love to stay in this particular house again. We especially enjoyed putting one of their puzzles together!"